Download a pdf flier about the Living History program. 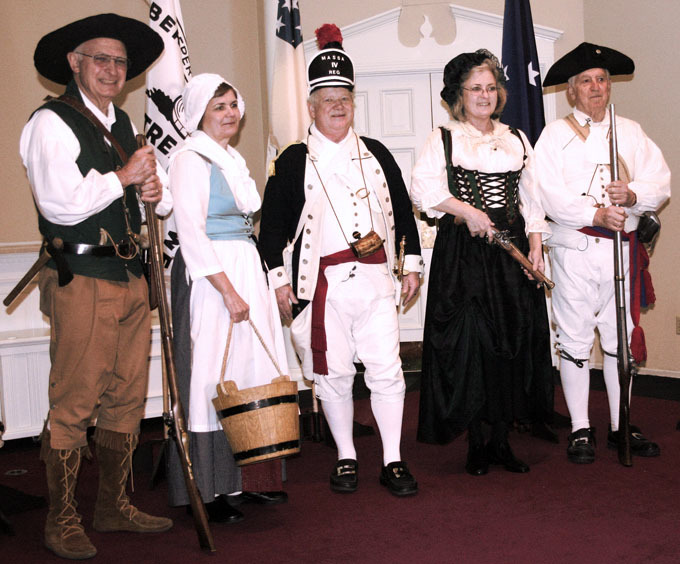 Members of the Sacramento Chapter Color	Guard have formed a small group of volunteers who, as the "School Guard", provide a 80 minute presentation about life during the American Revolution. The program is provided at no cost to schools throughout the Sacramento area in support of their 5th Grade US History curriculum. The members of the "School Guard" make 1st person presentations about their characters in period dress and with period weaponry. This program's popularity has expanded over the years since it was first started in 2000 and is provided to interested schools on a first-come, first-serve basis.